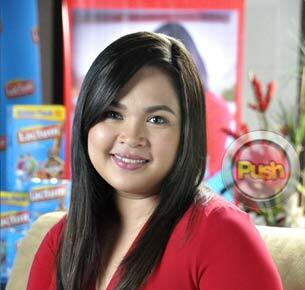 Judy Ann Santos says she is still under contract with ABS-CBN. After finding out that her upcoming movie project My House Husband has been shortlisted as part of this year’s Metro Manila Film Fest (MMFF) entries, Judy Ann Santos said she is happy to return to the big screen in a project that also pairs her up with real-life hubby Ryan Agoncillo. “We’re excited to be working with each other again after a very long time,” she shared in the July 5 telecast of TV Patrol. The multi-talented drama actress also put to rest the persistent rumors saying that she is planning to transfer to a different network within the year. “Meron pa akong existing contract sa ABS-CBN. Alam ko nag-renew ako last year,” she stressed in the popular evening news program. Before giving birth to her son Lucho last year, Juday was last seen in the teleserye Habang May Buhay alongside Derek Ramsay and Gladys Reyes. Juday then took some time off from the limelight during her pregnancy in order to focus on her growing family. This year, the talented actress admitted that she is slowly easing back into showbiz with her various endorsements. Juday has also expressed gratitude for the numerous offers she has been receiving to do projects again. Juday has been very vocal about carefully considering her projects now that she has a family. But the actress admitted she is open to doing a yet untitled movie with multiple Best Actor awardee Coco Martin because she has always admired Coco’s talent. With new reality show Junior Master Chef: Pinoy Edition all set to be shown soon, Juday has been busy preparing to host the Kapamilya network’s version of the popular international franchise. The actress has already admitted that she is lucky to be married to Ryan, who had already been into hosting even before he started acting in showbiz. Juday revealed her husband would give her tips on how to be an effective host. But before she finally gets back into the routine of daily tapings for Junior Master Chef: Pinoy edition, the 33-year-old actress is scheduled to fly to Australia for a one-week vacation with her family before the show’s scheduled telecast.